Lifeworks Learning provides training to facility teams that prepares them to implement the Retention Specialist program in their facility. Contact us for estimates of the cost of customized training. The retention specialist project is an innovative staff development model designed to improve certified nursing assistants (CNAs) retention in nursing homes. 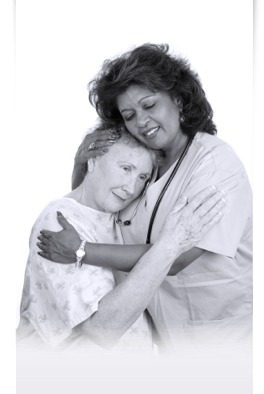 Specifically, the project provides training to staff who, in turn, return to their facilities and act as a trained retention specialist who has both the expertise and the ongoing support to systematically address problems of low job satisfaction and resulting turnover in their nursing home. The project provides an in-depth training and a portfolio of resources to the retention specialist who is charged with diagnosing and addressing retention problems. The hallmark of the model is that a staff person from each facility is designated as the retention specialist. This individual receives tools and ongoing support to conduct a needs assessment, institute retention programs and evaluate their success. The specialist takes a leadership role in developing and sustaining a core of caring, committed staff and acts as a “retention advocate,” serving as the key internal consultant regarding retention programs. The training participants include a person from each facility who is designated as a retention specialist, and a facility administrator. The project was rigorously evaluated by a Cornell University research team. The study used a randomized control-group design with 16 treatment and 16 control facilities in two states. Interviews were conducted with a sample of CNAs in the facilities, using reliable and valid outcome measures that are closely related to the goals of the intervention. Study results suggest that the RSP was related to positive outcomes in the treatment facilities. Overall, it appears that the RSP had a positive effect on job satisfaction, perceived effectiveness of the facility’s retention efforts, and likelihood of quitting during the first six months of the project. Turnover was significantly reduced in the treatment facilities as compared with the control facilities.